This story appears in the Winter edition of Ottawa Magazine. Buy the magazine on newsstands or order your online edition. Young adventurer Tessum Weber plans to join the family expedition business when he finishes university. Photo by Harry Nowell. Tessum weber can light a stove at -60 degrees in the middle of the frozen Arctic Ocean. The key, as with everything done in those extreme conditions, is to take it step by step. Tessum, now 23, lived this step-by-step routine every second of every day when he skied from the northernmost tip of Canada — Cape Discovery on Ellesmere Island, Nunavut — to the North Pole. The journey, which started in March 2010, lasted 41 days, 18 hours, and 52 minutes. 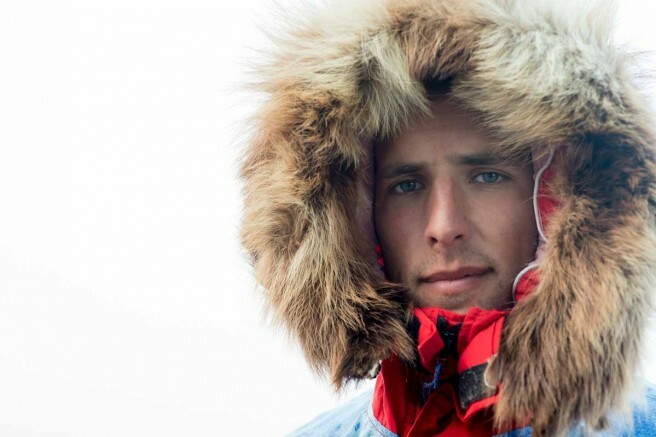 Tessum Weber was just 20 when he made the trek and has since been recognized by Guinness World Records as the youngest person ever to ski from land to the pole. His team was given the distinction of the fastest expedition ever to make this journey. To put the accomplishment into perspective, expeditions of this kind usually estimate about 50 to 55 days to reach the pole. “We only slept for about 15 hours the last week,” Tessum recalls. And although he admits it’s definitely a thrill to be able to travel to the North Pole with your son, Richard makes it clear that he didn’t extend the invitation lightly. “I definitely thought about it a lot before I asked Tessum — about whether he was ready and whether he would be interested. Luckily, it turned out that he could get out of school for a short time.” Tessum, who grew up in Wakefield, Quebec, was studying at the time for his bachelor of commerce at the University of Ottawa but was quick to say yes. His family, especially on his dad’s side, has a real spirit of adventure, he explains. His late grandfather, Hans Weber, was a mountaineer and Arctic geophysicist who spent most of his career in the field, investigating underwater mountain chains and the seismology of the Canadian Arctic islands.